Hihi, would like some opinions. 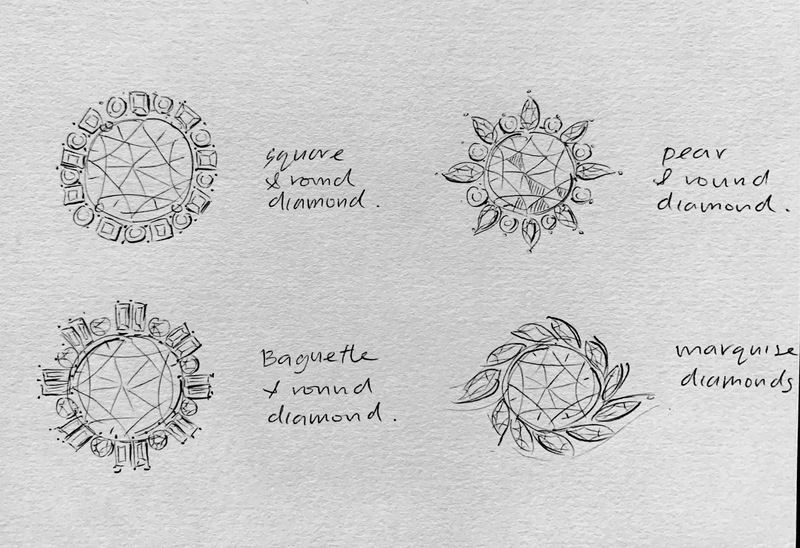 After weeks of deliberating, I've chosen to do a halo design with my super ideal round. I met one of JP's designer (Meng?) for some suggestions and she showed me some of her drawings of different halo designs. She's very helpful and now I'm spoilt for choices. I’ll suggest the standard rounds halo, I’ve got a bunch of female friends gossiped about a women who gotten some pear or odd shape halo and everyone thinks it looks cheap lol. I’m of the view of a classic solitaire. Anyone knows which places are able to do just the setting only? I am planning to get the diamond online. Benny Gems, Canary diamonds will do it. Others have chimed in previously to say House of hung will do it with CAD included. There’s quite a few in lucky plaza. He proposed ytr!  Ring from JP. Kinda alittle loose may have to go back and resize  My ring size 4.5. Hi, anyone has reviews or experience dealing with Rio Diamonds to share? Flower clusters looks pretty. A concern I have is that the flower seems to be poking out and sharp looking. Am worried that it might easily scratch on to things and practical for daily wear. Which is why I'm leaning to the round/square combo with the round shape outline. That might be a safer choice. looks a little too big for your hand, but congrats. I remember she posted something like 0.5.....but 0.5 looking like this on a 4.5 finger? I remember seeing 1.1 CT on a size 4 finger and i still find it not big enough but yours look not bad. 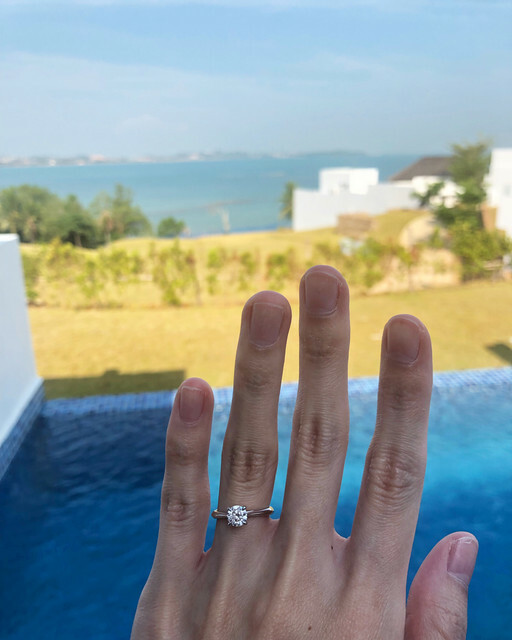 He proposed ytr! 😍 Ring from JP. Kinda alittle loose may have to go back and resize 😂 My ring size 4.5. Did u changed the diamond size?